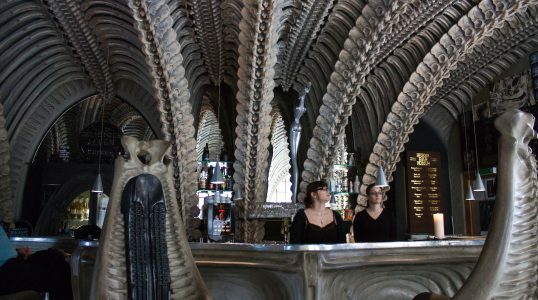 Located in Gruyères, Switzerland, the HR Giger Museum not only displays the works of the famous sci-fi artist, but also serves drinks at its HR Giger Bar. The design of the bar’s furniture and interior architecture are reminiscent of his iconic design work on the film Alien. Whether you are a fan of Giger’s art or simply looking for a museum that is out of the ordinary, the HR Giger Museum is unique spot to visit while in Gruyères.